This guide contains tool tips and tricks. Keeping your tools and supplies where they are easy to find and use, can save time when completing your projects. Whenever you're using a metal rule and need to mark a measurement on it for transfer, you'll find that a small magnet "clamped" to the ruler will hold your place easier and neater than any other kind of marker. Put a mothball in your tool box to help prevent rust. 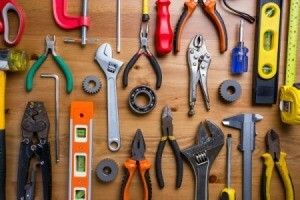 Organize your tools in your toolbox so that the tools you use the most are on top. Keep a small flashlight in your toolbox in case there is a power outage. Keep the batteries separate so it doesn't turn on when it shifts around. Put a piece of cardboard in the bottom of your toolbox to soak up oil and moisture. 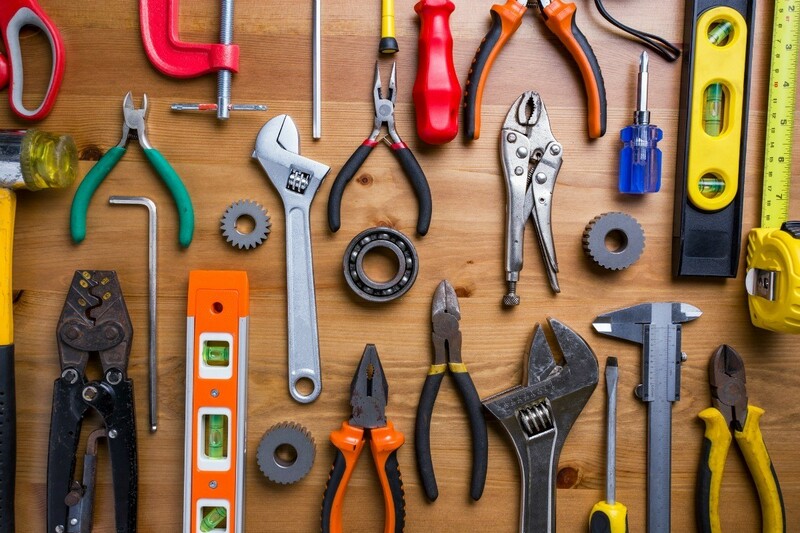 Keep a container in your toolbox for loose nails and screws to prevent them from getting buried under your tools. Add a little baking soda to screws or nails that are stored in coffee cans to prevent them from rusting. Keep a few pieces of chalk in your toolbox. They might come in handy and they will help absorb moisture. This is a guide about adding a magnet to your hammer. 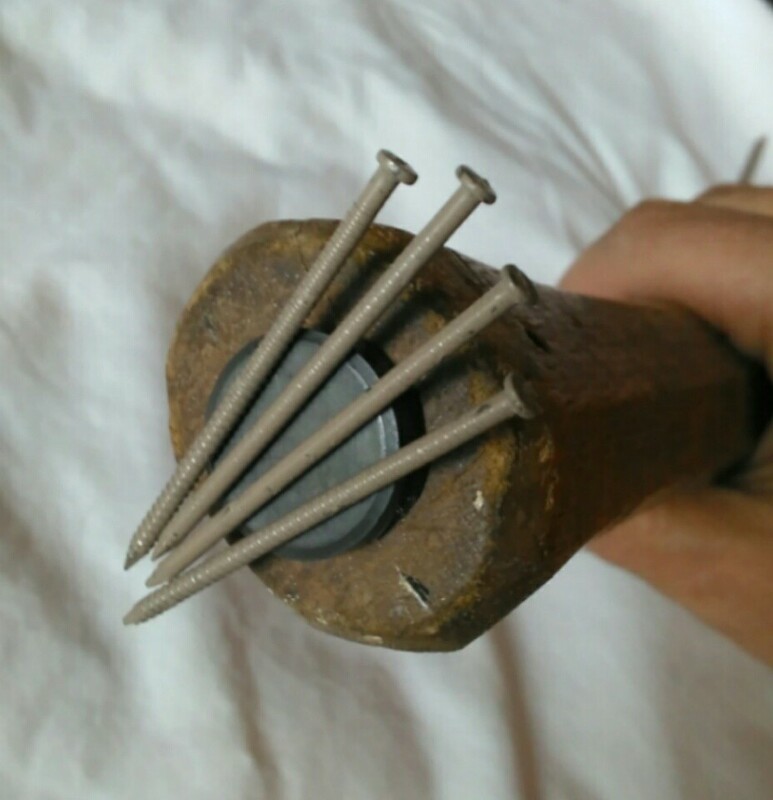 Keeping your nails handy when you are hammering can be a challenge.